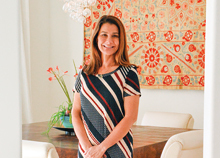 It’s no accident that Silvia Garcia of Lang Realty wound up in the real estate world. She began considering a career in the profession during her pre-teen years. First, though, she had to arrive in a country that would allow her to pursue her dream. 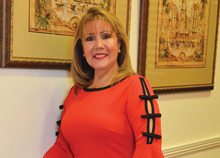 Garcia enjoyed a lengthy local career in the insurance industry, but her connection to her current occupation began when her parents became homeowners for the first time. That Realtor brought joy, laughter and happiness into Garcia’s home, while helping her family fulfill a dream that at the time felt impossible. That experience fuels her to this day. A Wellington resident for 35 years, Garcia has two daughters, Sandra and Suzette, and one granddaughter, Katarina. Garcia is someone who believes in a hands-on approach to every deal and is involved in every step of the process. Working at her present firm is a perfect fit for Garcia. Working in her home market of Wellington is something that Garcia never fails to appreciate, both as a resident and a businesswoman. To contact Silvia Garcia, call (561) 801-8188. Find her online at www.flhomes-invest.com or https://sgarcia.langrealty.com. 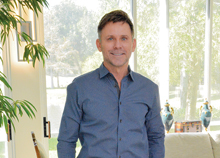 For Robert Ross of the Keller Williams Luxury Team, a life in real estate was not a huge surprise. After all, the profession is in his blood. Ross’ other love was and remains the equestrian lifestyle. He became a Grand Prix jumper and was named to the U.S. Olympic sports festival team. He has developed Romance Farm Inc., a joint training business with students of all levels with his husband, dressage Olympian Robert Dover, and has been the organization’s secretary and treasurer since 1989. Ross’ twin passions are not mutually exclusive. “It seemed that at every horse show, a friend would come to the ring and ask me if I knew of any stalls, barns or houses for rent or sale,” he recalled. This led to a re-thinking of his career and a return to the family business. Ross knows that every client’s situation is unique. That’s what drives his team to treat every situation with the highest level of customer service and care. When he’s not busy working the best deals for his clients, Ross throws his total involvement into the Equestrian Aid Foundation, a nonprofit foundation originally formed in 1996 as the Equestrian AIDS Foundation. This focus on teamwork carries over into everything Ross does. To contact Ross, call (561) 758-6185 or visit www.robertrosspa.com. Abby Jones is a fourth-generation Floridian whose professional background and love of horses make her a perfect fit at Wellington’s Equestrian Sotheby’s International Realty. 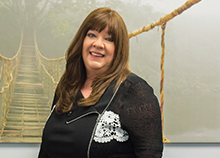 After graduating with a bachelor’s degree from the University of Central Florida, Jones started working for a private commercial appraisal company in Fort Lauderdale. She obtained her general appraiser’s license and real estate sales license in 2001 and continued to work as an appraiser. A friend introduced her to the owners of Equestrian Sotheby’s International Realty, and she found the firm to be a good fit. “Because I had such a strong understanding of real estate through appraisal, especially in Palm Beach County, Sotheby’s hired me as a full-time sales agent,” she said. Jones splits her time between Wellington and Lexington, Ky., where she is also a licensed Realtor. She continues to focus on equestrian clients in both horse-centric destinations. The situation is a very successful family affair. Jones said that she enjoys working at Sotheby’s because of the tight-knit group of agents and its significant global presence, which greatly benefits her work in Wellington. That customer-client relationship is crucial to the success of every deal. Through her experience as both an appraiser and a Realtor, Jones has full confidence in her abilities and knowledge to help each and every client secure the situation of their dreams. One thing that she doesn’t have to work too hard at is selling Wellington as a destination. That takes care of itself. Equestrian Sotheby’s International Realty is located at 12180 South Shore Blvd., Suite 102, in Wellington. To contact Abby Jones, call (561) 436-4097 or (561) 771-2626, or e-mail ajones@equestriansir.com. 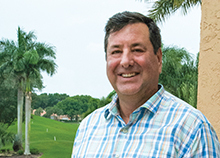 Luis Rodriguez of Keller Williams Realty is eager to sing the praises of Wellington in particular and Palm Beach County in general. After all, it’s the area where he grew up, and he speaks of the Palm Beaches with a mixture of knowledge and pride. Rodriguez was a natural for real estate. After being told he had the perfect personality and background for the job, he joined BRP Realty in Palm Beach. It was a matter of the heart that brought him to Wellington. Rodriguez specializes in equestrian lifestyle properties for both year-round and seasonal residents. Rodriguez couldn’t be happier to be a part of the Keller Williams team, where he is the chair of the Wellington division of Keller Williams Luxury International. He is dedicated to consistently raising the bar when it comes to service and satisfaction. Since his specialty is equestrian properties, it should come as no surprise that Rodriguez considers the horse community one of the true backbones of Wellington’s appeal. Rodriguez keeps his eye on the ever-changing real estate market. When he looks at the big picture, he projects an optimistic future for the area. For more information, call Rodriguez at (561) 385-2383, e-mail lrodriguezpb@gmail.com or visit him on the web at www.luisrodriguez.kwrealty.com. South Florida native Chris Heine Jr. of Chris Allen Realty comes to real estate quite naturally. After all, the profession runs in the family. Heine was born at Good Samaritan Medical Center in West Palm Beach, attended Cardinal Newman High School and received his degree from Florida Atlantic University in 2006. Heine’s unique skill set gives him a leg up on the competition. Heine is also a licensed mortgage loan originator. He added this to his resume out of a desire to fully understand the workings of the lending industry. As someone who has grown up in the area, Heine said the decision to settle down here was easy. When Heine surveys the shape of the current real estate market, he’s pleased with what he sees. To contact Chris Heine, call (561) 507-5448 or visit www.chrisallenrealestate.com. Kathy Lebrecht of the Rucco Group at Re/Max Direct spent her childhood in the suburbs of New York City before leaving the northeast behind to begin life anew in South Florida. As a resident of the area for more than four decades, Lebrecht has watched South Florida grow from a handful of sleepy beach communities into a major metropolitan area. “Witnessing this transformation has provided me with a deeper insight into our unique culture and vast knowledge of the many neighborhoods that make up Palm Beach County,” Lebrecht said. Lebrecht moved to Wellington with her husband and three children in 2002, the same year that she began her real estate career. She considers both moves among the best decisions she has ever made. She enjoys the overall “vibe” of the village. “Wellington is a very close-knit community and does not have the same impersonal feel that is found in the big cities,” Lebrecht said. She believes that the quality of the local educational system is also a big attraction for would-be residents. In 2016, Lebrecht made a move within her company that took her game to a higher level. When you do business with Lebrecht, she aims to make sure that the experience is successful on every level. Mary Schiltz of ERA Home Run Real Estate is grateful to have all the current technology that helps to make being a real estate professional easier than ever before. But, by her own admission, she’s proud to be a little “old school” as well. 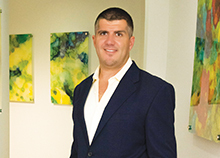 Schiltz was born and raised in Fort Lauderdale. She met her partner, Dan, in 1980 and bought her first house in 1983 in Boca Raton. Schiltz went to school and got her real estate license in 1995. Back then, construction was at a premium. This is where her partner’s profession came in handy. 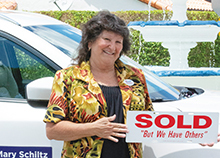 Two of Schiltz’s biggest joys are meeting new people and seeing how happy they are when they close on their new home. She can go all “high tech” if that’s what it takes to get the job done, but she has never lost the fondness for the way business was done when she first started out. Schiltz is grateful to be a part of the Lead Team at ERA Home Run Real Estate. Generally speaking, Schiltz’s area of expertise is residential real estate in and around the Wellington area. But that doesn’t mean that she has fenced herself in. Not one given to wild superlatives, her take on the immediate future of the local real estate market is cautious but very optimistic. As they say, slow and steady wins the race. ERA Home Run Real Estate is located at 11973 Southern Blvd. in Royal Palm Beach. To contact Mary Schiltz, call (561) 635-8477. Some people take a while before they settle into the real estate world. 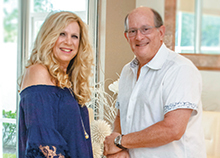 Marc and Shelley Kerschner of South FL Home Pros were well-established in other professions before deciding to focus on real estate. Shelley is originally from Montreal and has a background as a retail buyer for clothing stores. She and Marc married in 2003. They moved to Wellington with the idea of opening their own business. Some years later, Shelley was looking for a change. The couple sold the business in January 2016, and she joined him in the real estate business. The Kerschners concentrate on residential properties in Wellington and the surrounding areas. They each have carved out areas of specialization. Call Marc and Shelley Kerschner of South FL Home Pros at (561) 596-3735 or (561) 596-3111. Visit www.southflhomepros.com for more information. For Mark Plaxen of 93 Realty, his decades-long involvement in Wellington real estate began as means to an end. Plaxen grew up on Long Island. He graduated from UCLA, where he majored in business. He and his family have been residents of Wellington for two decades. He has had a first-hand view at the prolonged growth spurt that the area has undergone. Plaxen’s field of expertise is a boon to those customers who have never ventured into the real estate market before. He believes that 93 Realty occupies a special spot in the marketplace. Plaxen’s years of experience as a Realtor have taught him exactly what he has to do to satisfy the needs of each and every customer. To contact Mark Plaxen of 93 Realty, call (561) 352-0298 or e-mail mplaxenpa@gmail.com.